Questionnaire: Can I Buy My Second Home for Children? Home > Financing > Questionnaire: Can I Buy My Second Home for Children? With the average age of a first-time buyer reaching 40 years old, many parents are trying to help their children onto the property ladder by buying them a home themselves. Parents whose children are going to university are particularly keen to buy a second home for their child as it will cut down on rental costs. Some parents go that step further and buy a second home for their children before they are barely out of nappies. These questions should help you decide whether buying a house for your child is the right step for you. 1) What Would You Use The Property For? 2)	Why Can’t Your Child Get Their Own Mortgage? 3)	How Do You Plan To Buy The Property? 4)	How Will You Raise The Deposit? 5)	What Do You Plan To Do With The Property? If you are buying a property for your child to move into twenty years down the line you may want to look at other ways to invest your money. House prices are in constant flux and although they will go up in value in the long run you will need to make sure your money cannot be spent a better way, such as in an ISA or a bond.You can also not predict what your financial and personal circumstances will be in twenty years and it may be you have moved out of the area or need the money for another purpose. If you have to take out a loan to fund the deposit it does not sound as though you are financially well off and you should not be looking to take on the extra risk. If you plan to buy the property but put it in their name, the lender will need to make sure your son or daughter can afford the mortgage and if they can’t you may find it has to go in your name.There will also be tax implications of handing it to them further down the line and you may have to pay capital gains tax when you pass the property on. Buying a home for your child while they are at university is one of the best ways to save you money on their rent and keep the house going as an investment. If you plan to put the property in your child’s name and act as a guarantor, this means you will be responsible if they do not meet any of the payments. In many regards the mortgage lender will treat it as a second mortgage and they will want to judge your affordability and finances accordingly. If you plan to rent the property out but not to your child you will need a buy-to-let mortgage which will ultimately be more expensive than your first. Investing in buy-to-let can be risky and you will need to be confident the property will make good returns and your child is willing to take it over at some point. The best way to help your child onto the property ladder is to offer them the deposit for a property and act as their guarantors. Unless your child has a bad credit rating or mounting debts it is a good idea to put the property in their name or buy jointly, this way you avoid any tax issues and it lessens some of the risk on you as parents. The best mortgage deals for first-time buyers and all of those that offer a higher loan-to-value are the ones that have a parent acting as a guarantor. If you plan to rent out the property to your children it may not count as a buy-to-let deal which means you can get a cheaper mortgage. The British people’s love affair with property does not look set to diminish anytime soon, so if you do have the money to help your child get a second home it will be a good investment for them and for you. Questionnaire: Can I Use My First Property as Equity? Is it Harder to Get a Second Mortgage Compared to First? 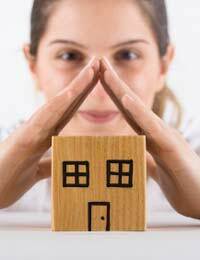 Will Owning a Second Home Affect My Benefits? I Use Bridging Finance for My Second Home?